We were pretty stoked on Monday when Chipotle offered everyone free burritos. We were even more excited in the following days when we received our texts with raincheck coupons! Twitter user @ayoo_eliii (“Eli”) saw an opportunity this week. He’s been taking the free burritos for himself. And he didn’t stop with one. It appears we’re dealing with a serial burrito thief, folks. Even after the attention he’s received for his hijinx, Eli bragged in this tweet last night, showing off at least 17 more coupon codes he’d grabbed from unsuspecting Chipotle enthusiasts. Where is the line between extreme couponing and just plain theft? It’s probably blurry, but we know coupon-nabbing has resulted in criminal charges in the past. Maybe Eli should bring the bragging down a notch and just enjoy his free burritos. Don’t Tweet Your Chipotle Coupons! 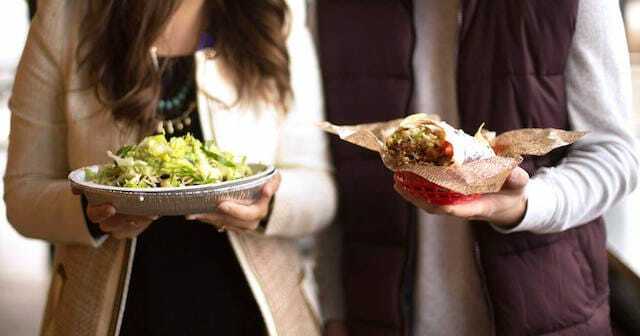 If you’re still eagerly awaiting your freebie from Chipotle, we know how excited you’re going to be when it arrives. You’ll probably squeal a little. Go ahead. Share your news. You can even tweet to say #ThanksChipotle. Just keep the coupon to yourself. Our hearts go out to you, Enzo. Unfortunately, our free burritos will not be with them. Your Turn: What do you think? Is Eli unfairly preying on Chipotle enthusiasm — or are the victims to blame for handing over their coupon codes? Dana Sitar (@danasitar) is a staff writer at The Penny Hoarder. She also writes about writing, life, comedy and love for blogs and books and sometimes things people care about, like Huffington Post and that one time she had an article published in the Onion.